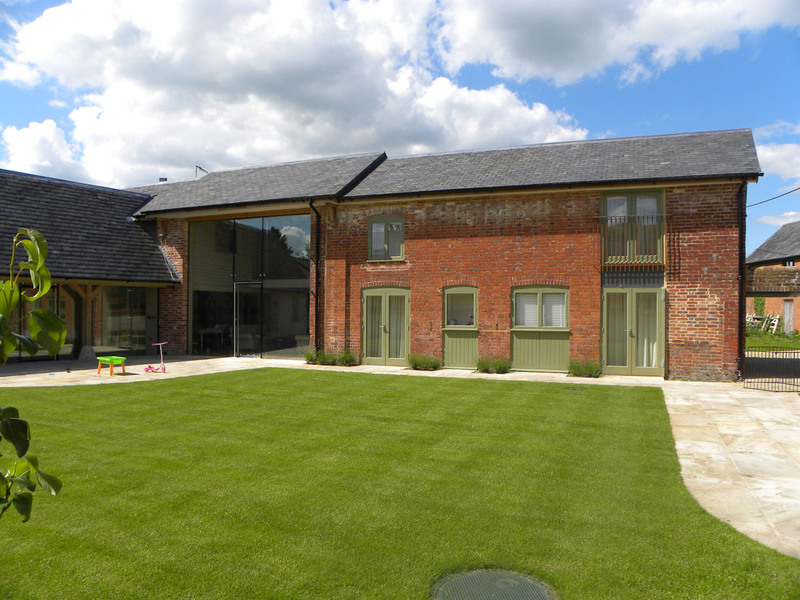 The Old Stable Yard is a conversion of a listed building which won an Architectural Award. It has been owned by the same family for three generations. 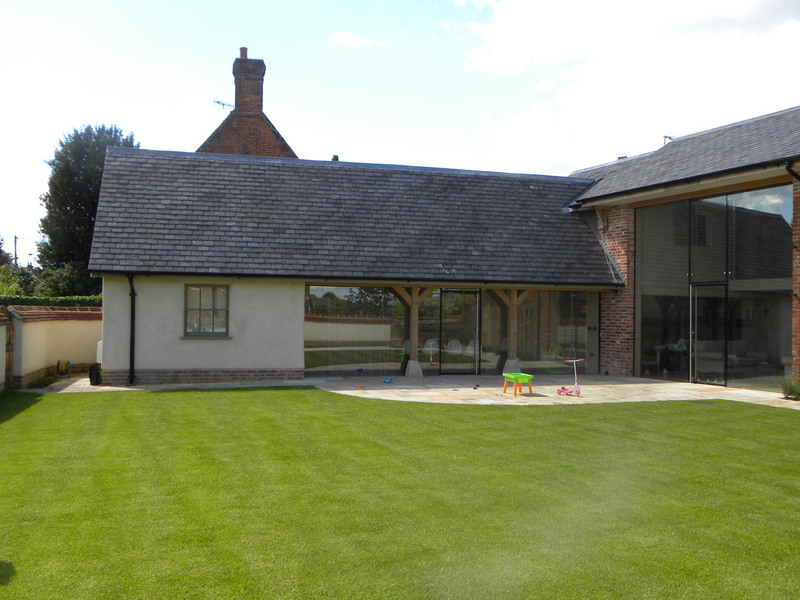 Our clients came to us with the brief to convert the building into a family home to raise the next generation. The design is crisp, modern and energy efficient within the historic shell. 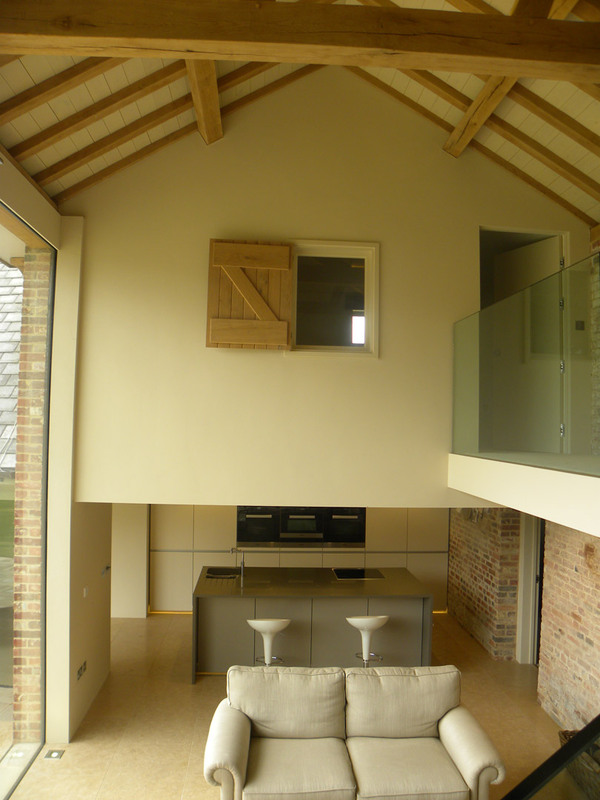 Our design brought the ‘Passiv Haus’ approach to the scheme – super insulated walls – clad where possible on the inside and outside has resulted in exceptional low heating requirements. 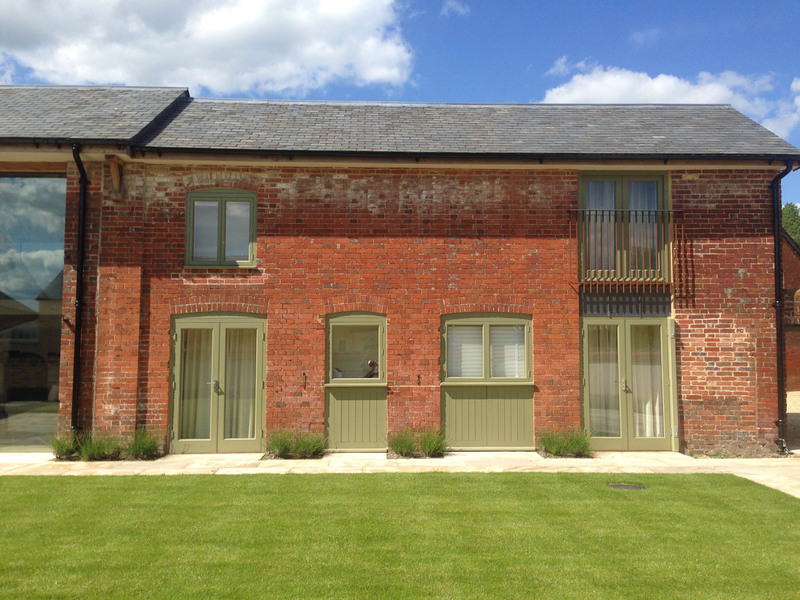 An MVHR (mechanical ventilation heat recovery) system brings fresh air heated by stale air into the highly insulated space. 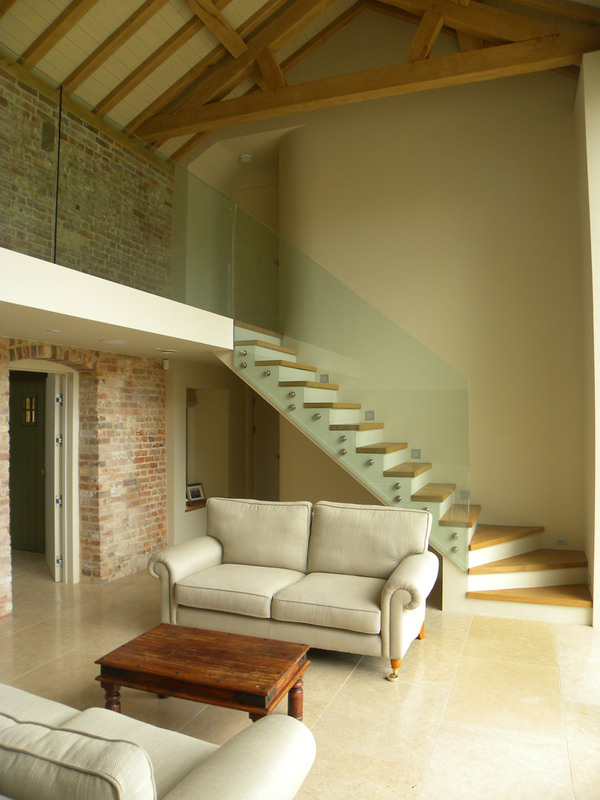 The layout is set around a central double height living room kitchen. South facing this light space faces a garden enclosed by a new wall. 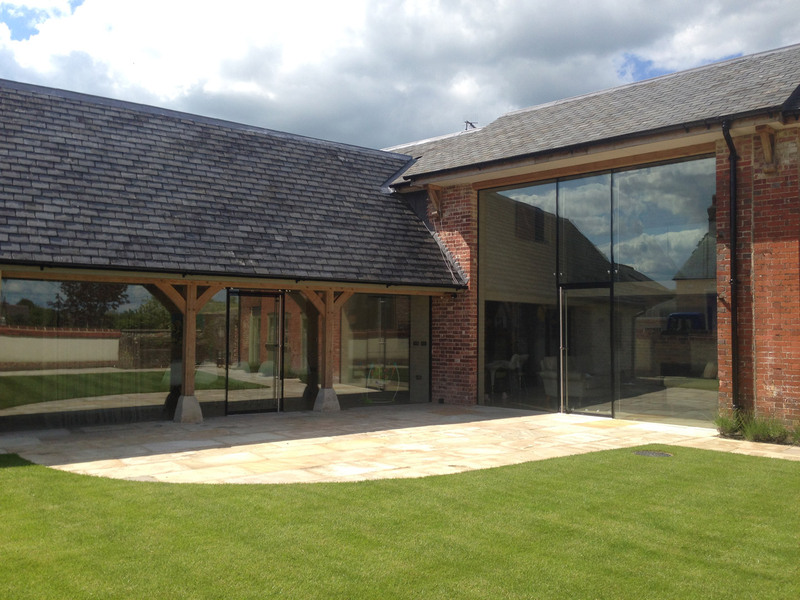 The project has had a small budget but with care it has stretched to include limestone floors, frameless glazing and an oak roof structure with stunning results.